uLoan website facilitates Borrower to fills Loan Application by providing financial information. uLoan will use that information to assess the borrowers loan request. This may include uploading documents like PDF, Doc and images. uLoan has chosen us for our ability to develop complex websites and providing efficient solutions with logical approach to the requirements. The website has only single version that is running successfully from the date it was released. 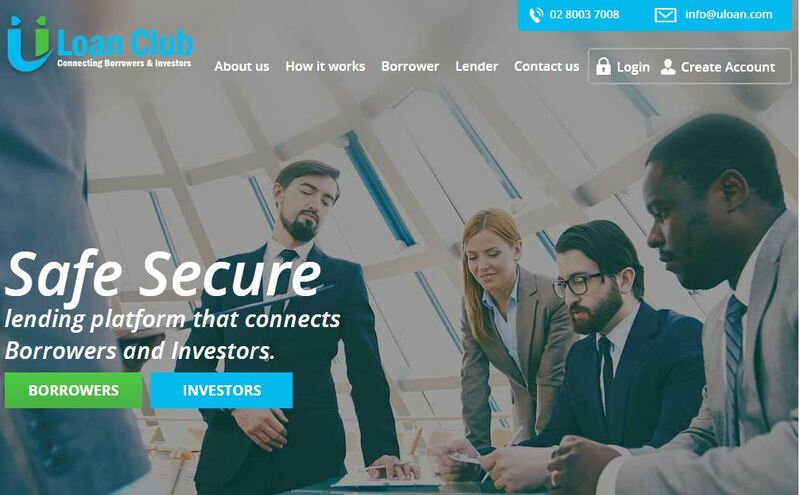 This website provide a medium for borrowers a platform to apply for loans who are seeking funds for respective reason and Investors will be able to provide fund to the respective borrower at defined interest rate. Borrower need to define a reason for loans, upload their financial information and then can submit their Loan Application (LA) that will be manually assessed by admin and if admin approve the loan application then admin will use the Loan Application to create a Loan Investment Proposal (LIP). Borrower need to accept the LIP that admin will be providing to borrower by clicking on accept button that will be shown on respective LIP before admin uploads the LIP to the Market. Then investor can view the LIP over the website and can bid on the respective LIPs. Admin will manually process for loan application and then turn loan application into loan proposal. Borrower should agree on loan proposal that will be created by the admin if it will be ok with the borrower then admin will put it into Loan Market. We continue to provide expertise and services in support of uLoan's ongoing program of website development.